At 16, let’s see, I was probably begging my mom to throw me a sweet 16 party that would rival my frenemy and praying my high school crush would attend. Pakistani activist Malala Yousafzai’s 16th birthday wish is to have young girls educated around the world. It’s a wish that wasn’t quietly whispered over a birthday cake, but echoed throughout the United Nations among national leaders. 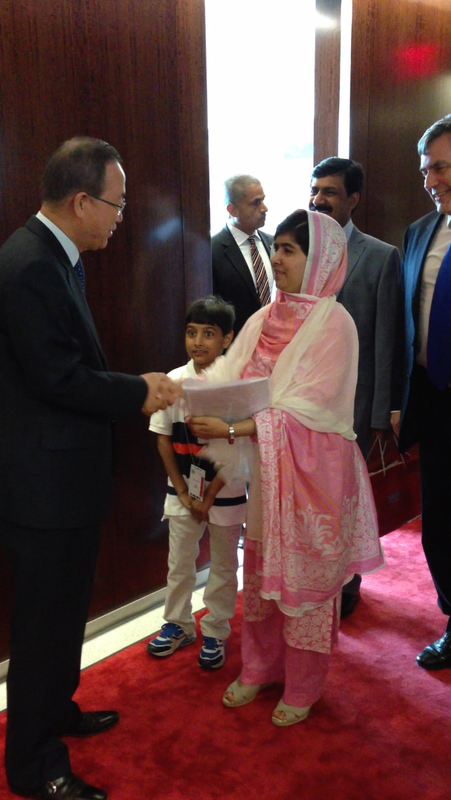 It’s a wish that nearly cut Malala’s life short after being shot in the head by Taliban last fall. But she said it has only made her vow to help young women have access to classrooms around the globe even stronger. See why this extraordinarily brave girl is an old soul in a young body. It seems I’m not the only one that has a girl crush on Malala. 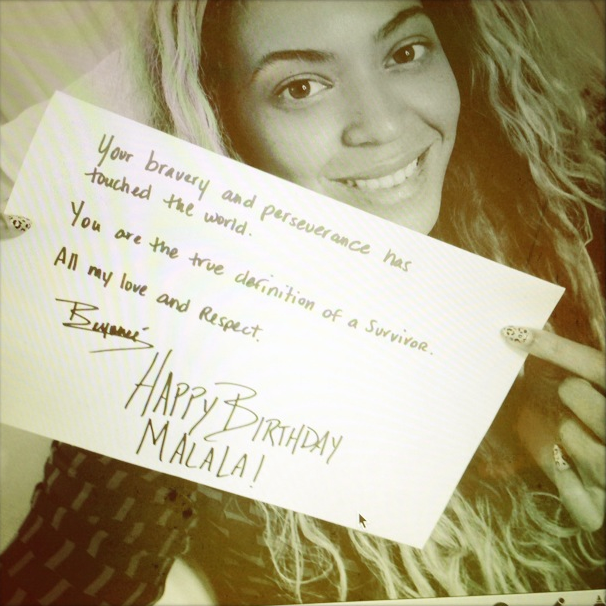 Beyonce posted a birthday message for Malala on Instagram today.